Composer Rubin Kodheli (ko-thé-lee) is a celebrated, versatile, genre-transcending creative rebel. The inspirational tapestry of his work is intentionally woven from blended threads of rock, jazz and classical influences, a stylistic trademark that has afforded Kodheli a career rich in its diversity of output. From his compositions appearing in feature films such as Precious (2009), to his original symphonic rock compositions, to his collaborations as a performer with premier improviser composers of our time-- including Dave Douglas, Henry Threadgill, Meredith Monk and Tom Harrell. Recently Mr.Kodheli has been performing Letters to Jack, created by the amazing and legendary writer, composer, filmmaker Laurie Anderson. Kodheli’s eclectic work amounts to an intriguing sonic collage able to enrapture and captivate audiences. Kodheli began his musical journey as a cellist in Albania, where, as a child, he would stay up into the night absorbing celebratory performances of traditional Albanian folk music or spend days attending numerous rehearsals with his mother, singer and actress Justina Aliaj (a-lee-i). By age fifteen, he moved to Belgium to pursue formal studies at l'Académie d'Uccle and later to Germany to attend the Richard Strauss Konservatorium. 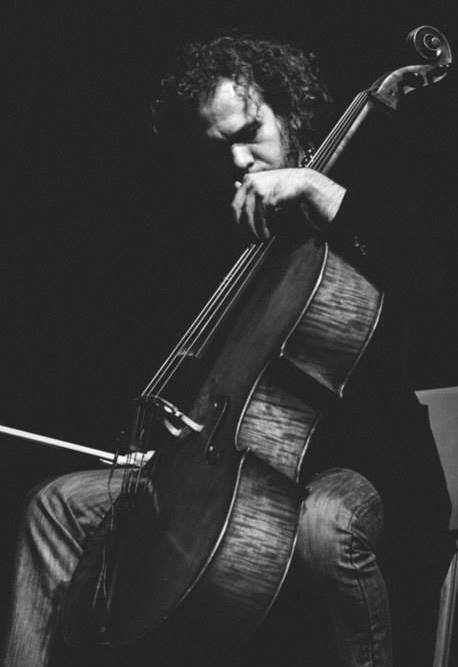 In the 1990s Kodheli received a scholarship to The Juilliard School, where he studied as a pupil of cello visionary Fred Sherry. Post-Juilliard Kodheli’s own musical improv and work with dancers as well as with other improviser composers compelled him to learn composition. In 2013 choreographer Elisa Monte hired him to write a fifteen-minute piece for which they won a grant from New Music U.S.A. Creating instrumental alchemy in his compositions and performances, Kodheli deftly molds the cello to emulate the timbre of a guitar, a drum, or a human voice; his rhythmic aptitudes and intuition for percussion enable him to play piano as well. His compositions teem with nuance, providing the opportunity to listen repeatedly, each time ripe with the possibility of hearing something that previously went unnoticed. Immersing audiences in honest musical explorations, Kodheli pushes listeners to engage, question and contemplate. Similarly, his compositional work empowers directors to drive home the emotional anchoring of their films. This panoply of unique musical experiences, from childhood through the present, continues organically to guide and mold his work with filmmakers, rap artists, dancers, choreographers, fellow composers, and various other creative professionals in New York City, and around the world.